The best ever Landscape Lighting Fixture ever built!!! A recessed light or downlight (also pot light in Canadian English, sometimes can light (for canister light) in American English) is a light fixture that is installed into a hollow opening in a ceiling. When installed it appears to have light shining from a hole in the ceiling, concentrating the light in a downward direction as a broad floodlight or narrow spotlight. “Pot light” or “canister light” implies the hole is circular and the lighting fixture is cylindrical, like a pot or canister. 32 modern, aesthetic and timeless designs to choose from. Wattage ranging from 0.5-10W of beautiful outdoor wall recessed landscape lighting fixtures. Compare our products to the best in the world and then make your choice. 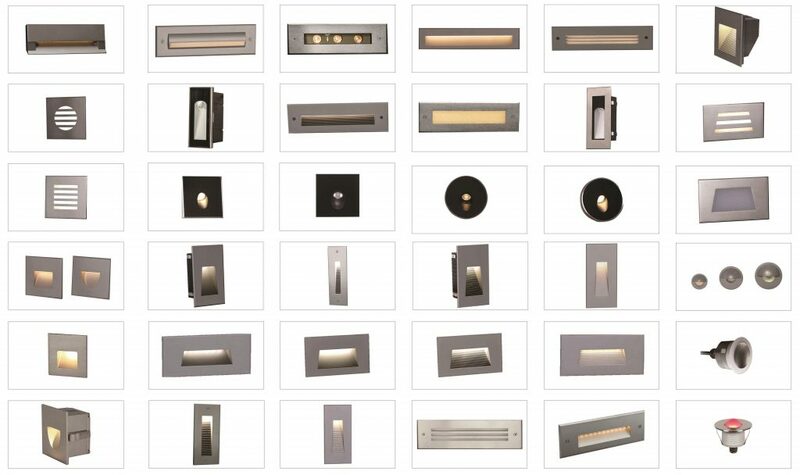 Check our entire range of Wall recessed Outdoor LED light fixtures & solutions.